Lure coursing, herding tests, and AKC hunting tests are all examples of dog sports that are based on the job for which breeds were developed. Earthdog tests allow small terriers and Dachshunds the opportunity to find rats in a cage underground. Man's competitive nature led to the design of ways to test these skills. 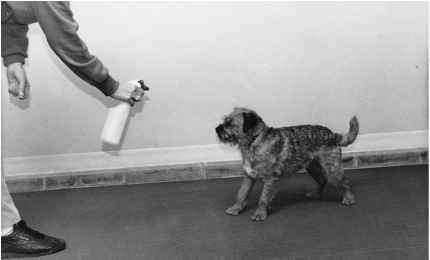 Such tests are also a means to identify and measure these instinctive behaviors so they can be preserved in breeding programs, since most dogs no longer have the opportunity to engage in the work for which they were bred. Because these dog sports utilize the instincts of the dogs, the dogs love them. They are a fun and challenging way for you and your dog to spend time together. If you own one of the breeds used in these sports, try to go see such an event. Like dog showing, if kept in the proper prospective, they provide a fascinating hobby and an opportunity to make new friends. Giving your dog the opportunity to make use of his instinctive behavior will make him happier, and it is a great way to continue building your relationship with your dog. Lure coursing is a modern version of a sport that has been practiced since ancient times. Coursing on live game is illegal in most places, so an artificial lure is now used. This is done by dragging a white plastic bag at fast speeds along the ground in a pattern full of irregular turns in an open field. The breeds allowed to compete are Afghans, Basenjis, Borzois, Greyhounds, Ibizen Hounds, Irish Wolfhounds, Pharaoh Hounds, Salukis, Scottish Deerhounds, and Whippets. These breeds are called sighthounds because they hunt by sight. Lure coursing relies on the dog's instinct to chase a moving object, and little training is required, other than making sure a dog is in adequate physical condition. Usually three dogs run at a time. It is beautiful and inspiring to watch. Most sighthounds love it, and it gives them an opportunity to exercise. As mentioned above, lure coursing also enables breeders to evaluate their stock to choose suitable animals for breeding. Practice runs are often available for a small cost after licensed trials. These Borzoi are being released at the start of a lure course. Lure coursing is not judged on speed alone. Rather, the dogs receive scores for agility, following the lure, enthusiasm, endurance, and speed. Winners receive ribbons. Points are awarded based on how many dogs are beaten at each course, with 100 points being required to attain a field championship. Note that this is different from Greyhound racing. First of all, it is open to more breeds. The courses are not run on a track, but in an open field. The dogs involved in lure coursing are people's pets, not part of a racing industry. There is no gambling involved in this sport. 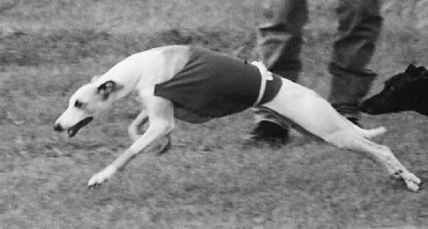 A Whippet pushes off to a good start. Lure coursing trials are part of the American Kennel Club's performance dog sports. The American Sighthound Field Association (ASFA) also holds trials. Herding is an aspect of canine hunting behavior that man has made good use of. Various hunting behaviors present in our dogs' wolflike ancestors were selectively bred over many generations to produce dogs exhibiting special abilities, such as sighthounds and herding dogs. The AKC offers a set of herding tests for all of the AKC herding breeds, such as German Shepherds, Border Collies, and Corgis, plus Samoyeds and Rottweilers. In herding sports, dogs move sheep, and sometimes ducks and cattle, as if they were on a farm. There are two types of tests: Herding Tests, which are noncompetitive and require less training, and Herding Trials, which are competitive. 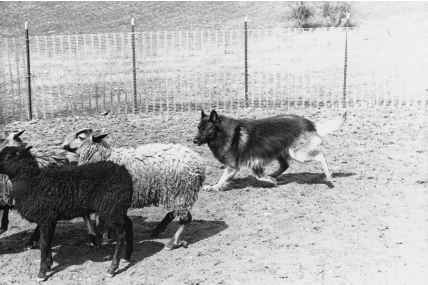 Herding Tests allow a dog to demonstrate instincts toward herding. Stock use can be sheep, ducks, or cattle. In Herding Trials, dogs must show their ability to herd under the directions of a person. Border Collies who are AKC registered can compete in AKC herding trials, but Border Collies also have their own competition organization, the U.S. Border Collie Handlers Association. Contact them at usbcha.com. Do you want to see if your Golden Retriever, Irish Setter, or Springer Spaniel still has the hunting instincts for which his breed was developed? This Belgian Tervuren is learning to herd sheep. Then the AKC's hunting tests are for you. 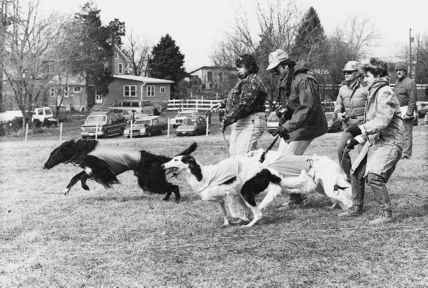 Hunting tests got their start when the first test was held in 1985 as a noncompetitive alternative to field trials. Field trials are expensive and time-consuming, certainly beyond the reach of the average dog owner. For instance, pointing breed field trials require that the dogs be handled from horseback. In contrast, handlers walk in the hunting tests for the same breeds. The hunting tests are divided into tests for retrievers, pointers, and spaniels. There are three levels of difficulty. After qualifying a specified number of times, your dog is awarded the titles of junior hunter, senior hunter, or the most difficult, master hunter. As an example, let's look at the requirements for the junior hunter retriever test. The retriever must do a minimum of four retrieves, two on land and two on water. Distances should not exceed 100 yards. 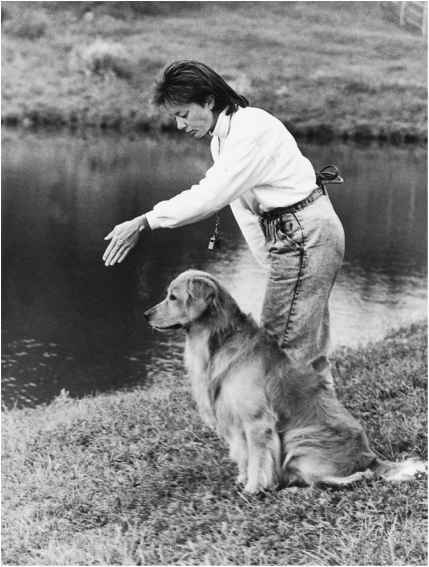 The dog must retrieve to hand, not dropping the bird or refusing to give it up. Live ducks are used and shot. Dogs are scored on marking (memory of where the bird has fallen), style, nose (scenting ability), perseverance, and trainability. The tests should imitate natural hunting conditions as much as possible. These tests are rapidly increasing in popularity. If you want to see one, contact the AKC for help in finding the one nearest you.